The Faculty of Science and Technology held a one-day research seminar on the 2nd of November 2018 to encourage both students and lecturers to come up with innovations that have the potential to improve the lives of communities. The workshop which was held at the University’s Gweru Main Campus was the third of its kind. Speaking at the official opening of the seminar, chairperson of the Department of Applied Bio-sciences and Biotechnology, Dr Tinashe Muteveri said the seminars are an academic exercise meant to emphasize that information is crucial to enable the necessary authorities to make informed and sound decisions. ‘These seminars are based on the philosophy that information is important for decision making we can only make progress if we make informed decision and these seminars are platforms to interrogate issues that affect our society, to subject them to interdisciplinary interrogation so we must feel free to share our ideas,’ he said. 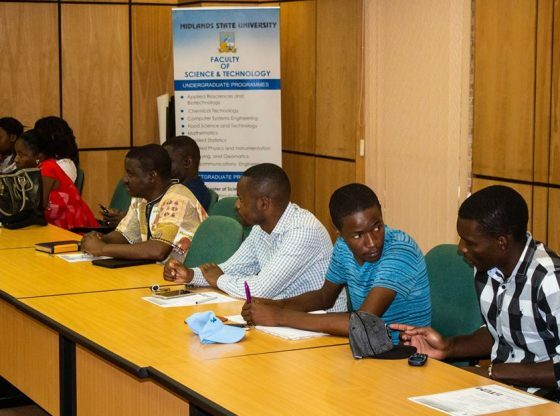 Deputy Executive Dean of the Faculty of Science and Technology Dr Charles Paradzayi, said students from all departments are expected to prepare presentations to be delivered at an upcoming seminar, as part of the Faculty`s initiative to academically groom the students for more challenging assignments. The seminar also witnessed Dr Cloud Nyamhere and Dr Fastel Chipepa making presentations based on their respective research work.